Do you have an event to celebrate? A promotion, the end of exams, a new job, graduation, or even just a couples’ outing? 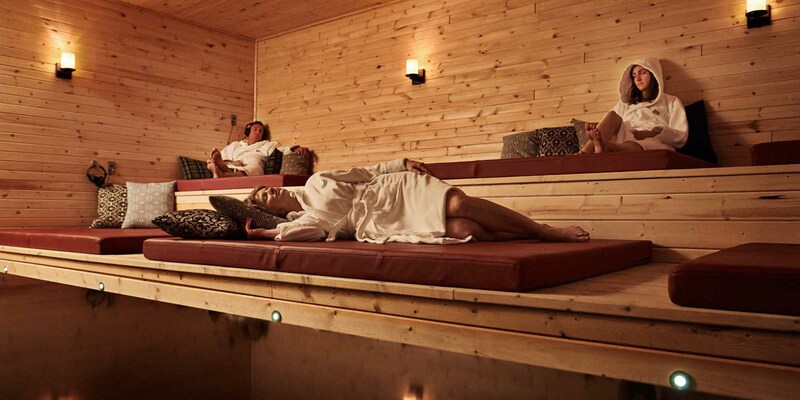 You suggest an extraordinary activity to your friends: a spa evening. They will beyond a doubt accept your invitation. You had the idea of the century! Relax as a group, do something different, change your habits. It’s good for you! 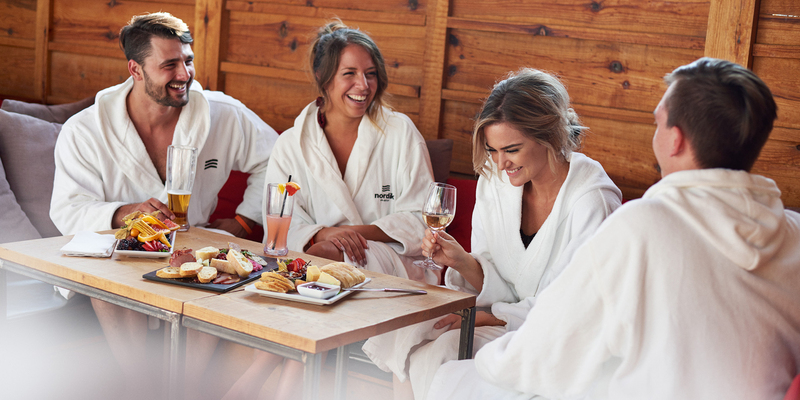 All the pleasures of life come together at the spa: great food, nature, saunas, pools, a wood fire, music, and ambient fragrances. It really is the good life. The Restö is the place to be to have a drink and enjoy a meal with your friends. Comfortably seated, you can create a feast to your liking. A cheese plate, a cold cut platter, and a salmon trilogy, spiced with secrets and bouts of laughter. What about wine? Red, white, rosé, or sparkling? Or maybe you prefer Martinis, beer, or sparkling or ice cider? The biggest challenge is making a choice! 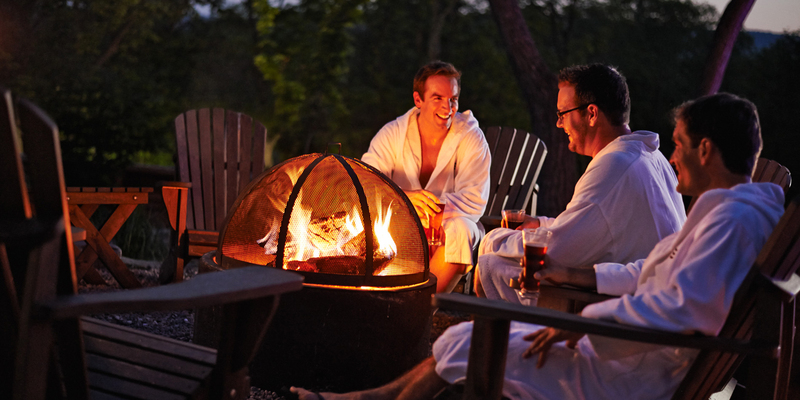 By the way, the spa organizes Discovery Evenings, which take place randomly throughout the year. Each event is unique because on every occasion, it is inspired by an original theme. Check out our calendar to learn the date and theme of the next Discovery Evening! The warm atmosphere and the surprises we have planned will definitely thrill your friends! Mark it on your calendars! The Aufguss ritual, have you heard of it? It’s a verrrry Hot sight!! Aufguss is German for Infusion. 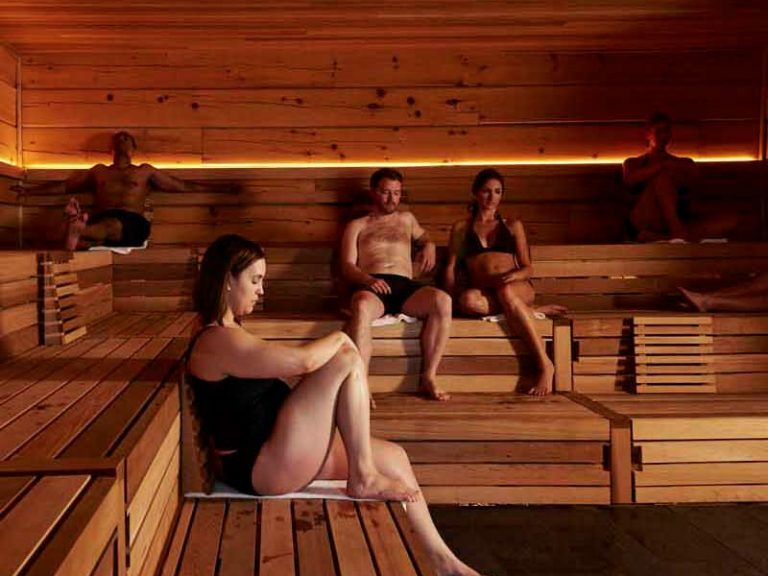 This ritual renews the ancient practice of the Finnish sauna, which involves enhancing traditional steaming by using water enriched with essential oils. The Aufguss master announces the beginning of the Aufguss ritual by sounding a gong, then makes his entrance. The Aufguss master uses a large towel to fan the air towards those present while playing music in the background. Three essential oils, three carefully selected songs, and a heat that intensifies throughout the ritual. 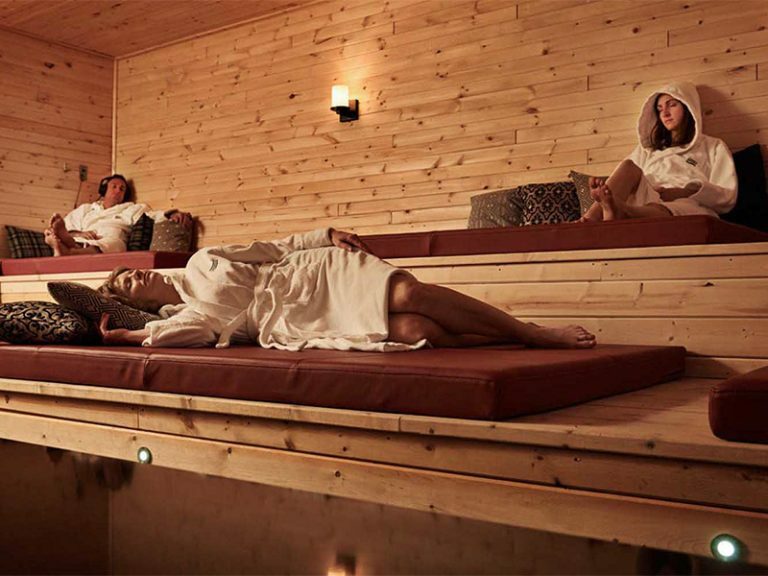 The ritual is offered every day at two-hour intervals, and takes place in the Finlandia sauna. This ritual is absolutely something to see, smell, and feel. 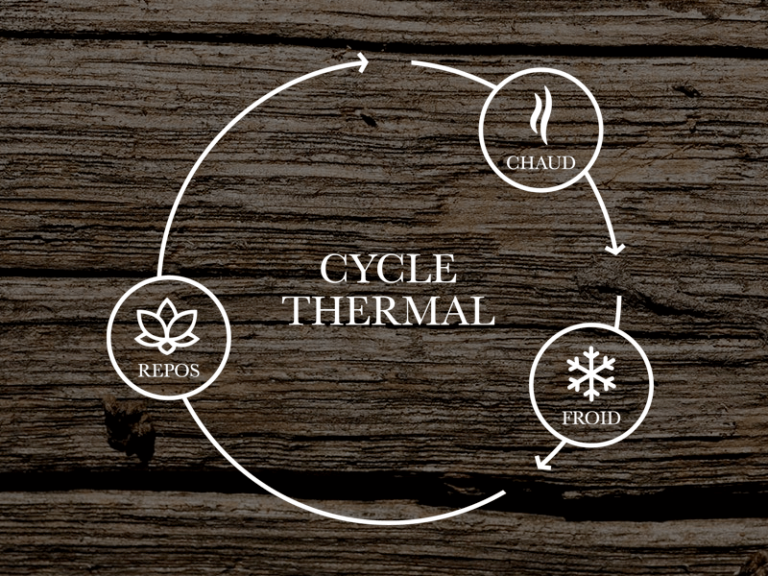 After a few thermal cycles, you finish the evening around a wood fire, just like at the cottage. Fläm is a fire pit sheltered from the wind. This open-roof space, built of roundwood, contains a fireplace and Adirondack chairs, allowing you to relax outside, even on cold days. This is a time for secrets, anecdotes, and soft words. It feels great to be among friends and talk quietly and calmly in a meditative environment. The tradition is already settling in.